Today, it seems that forensic science careers are everywhere. Specialists are brought out and put on the stand in high profile trials, experts are constantly interviewed for analysis on the news, and television shows such as CSI portray the glory and intrigue of crime scene investigations. Surprisingly, while the use of science in criminal investigations in some manner or another been around since before the Roman Empire, the idea of forensic science as a discipline and a career is barely 100 years old. It has only been within the last century that law enforcement agencies and the court systems have come to rely so heavily on the use of scientific practices in crime scene investigations. Until the mid-nineteenth century, the use of science in investigations was known and discussed, but the proper application of scientific principles had not yet been fully fleshed out. 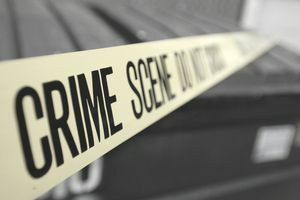 Throughout history, there had been examples of various pieces of evidence leading to convictions or acquittals that would seem to fall in line with what we now recognize as forensics. During the 1800s, though, the application of the scientific principle to criminal investigations accelerated. Clothing and vegetable grains were used to place suspects at the scenes of crimes. The invention of the camera brought on the use of photography to document and preserve crime scenes. Hydrogen peroxide was discovered to foam as it oxidized when it contacted hemoglobin, demonstrating the ability to test for the presence of blood. All of these advances came fast and furious and combined to bring a renewed zeal for science within the realm of criminology. Mystery novels and detective stories gained popularity in the mainstream culture, lead by important characters such as Sir Arthur Conan Doyle's iconic Sherlock Holmes. Of course, these were all important aspects of the proliferation of forensic science as a discipline. Perhaps the most significant advance, though, was the independent works of Englishmen Henry Faulds and William Herschel and American scientist Thomas Taylor detailing the uniqueness of human fingerprints and their potential use in identifying people that lead to the codification and standardization of accepted practices within forensic science. No mention of the history of forensic science would be complete without discussing the tremendous contributions of Dr. Edmond Locard, a French scientist, and criminologist who had studied law and medicine. Locard proposed the notion that "everything leaves a trace," a principle that prevails today in crime scene investigation. Locard's Exchange Principle espoused the idea that everything and everyone that enters a crime scene leaves some piece of evidence behind. Likewise, everyone and everything takes some piece of the crime scene with them when they leave. Locard's belief and research lead him to convince the police department in Lyon, France to provide him with an office and a staff to analyze evidence obtained from crimes. The two attic rooms and his two assistants soon became the world's first crime laboratory. Today, the field of forensic science has all but exploded. Advancements in technology allow for better analysis and understanding of scientific principles in all types of evidence. This, in turn, allows crime scene investigators to branch out and gain expertise in areas such as bloodstain pattern analysis and ballistics. The advancements of the twentieth century were built largely upon the groundwork laid in the nineteenth century, perfecting techniques in both analysis and preservation of evidence. In the late 1900s, though, perhaps the largest breakthrough in crime scene investigation since fingerprinting became standard practice came with the advent of DNA analysis and identification. The recent use of DNA in criminal investigations has led not only to the positive identification of countless criminals, but it has also lead to overturns of prior convictions and the release of hundreds of innocent people. With new advances in police technology and computer science, crime scene investigation and forensic science will only become more precise as we head into the future. Working as a crime scene investigator can be an extremely rewarding prospect. Because the field is still relatively new, forensic science careers can put you on the cutting edge of new techniques, technology and research. Moreover, you'll be able to sleep soundly knowing you're working to bring justice and help others.